There was one constant this week at work while I visited patients– and no, it wasn’t the fact that people mistaken me as a Doctor or a Nurse. This week over 50% of the rooms I entered had the George Zimmerman trial on the TV. CNN, MSNBC and other major news outlets have been running what seems like 24 hours coverage of courtroom drama; the lead story for most of the news stations and more than likely on talk radio (on both sides of the aisle) has been a run down of the evidence, the objections and word for word break down for the testimony given. Social media has been flooded with hashtags, posts, reflections and petitions for both Trayvon and George Zimmerman. Talking heads and media commentators have weighed the evidence and tried to ascertain what verdict the all female jury will return with. They have debated the use of “cracker” as a derogatory word and have talked ad nauseum, often in circles, about this case. At times, it can be too much to handle or absorb. But through it all, there is one piece of information, in my opinion, that the ratings-hungry news organizations have missed or overlooked; whether the jury comes back with a guilty or innocent verdict, a 17 year old boy, Trayvon Martin, is dead. While it is right to seek after justice, is it possible during the process to miss the point? Has the media and the populace become so enamored with the trial and the ultimate verdict that Trayvon has been pushed to the side? Is this the effect of the 24 hour news cycle with its constant updates, critiques and up to the minute details? Trayvon was brought up during the trial. But in my view it was more indirectly, as if he was a part of some grand motion picture of the legal system of Florida. He was described as a thug high on marijuana as well as a 17 year old kid just trying to keep out of the rain and get back home. What happened that February night was a travesty for all parties involved. No parent should ever have to bury their child and George Zimmerman now has to live the rest of his life knowing that he took another human being’s life. These two verses serve as a reminder that no human being is an accident and that every human being is a product of a living God. It was God who formed from the dirt Adam and then breathed the very breath of God into his nostrils. These two events are not the by product of a passive God; these events signify that God has an intimate relationship with ALL of humanity, no matter what side of the “train tracks” you are from. During the next few days (or maybe weeks) we need to remember the story of creation. As the verdict is returned and the news organizations postulate why the jury went one way or the other, may we remember that all life is precious and all people are children of God. George Zimmerman, guilty or innocent, is a child of God. 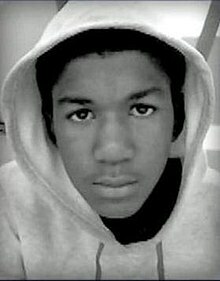 Trayvon Martin, no matter his past or alleged wrong doings, is a child of God. May we remember where we all come from not just during a high profile case, but forever. ← Sermon: Can You Hear Me Now? But that’s reasonable and asks us to value people, instead of getting inflamed one way or another. I’m not sure the Internet (or sadly, the nation) is ready for your thoughtful and calm approach, Reverend Dolive. But I pray that we are, or that we increasingly will be.